Confirmed numbers must be submitted to Hostel 14 days in advance of arrival date. Any calcellation/reduction in numbers after that date will be charged at full rate. Deposit of 25% of total cost of stay required on booking. Remainder due on arrival. Bank Street Lodge in the heart of Fort William offers superb value accommodation with clean, comfortable rooms and friendly staff. 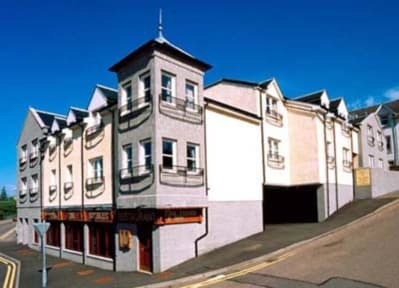 We are situated in Fort William's town centre, only a 5 minute walk to the bus and train stations. We have our own guest car-parking facilities, TV room/lounge, fully equipped kitchen and a laundry service. 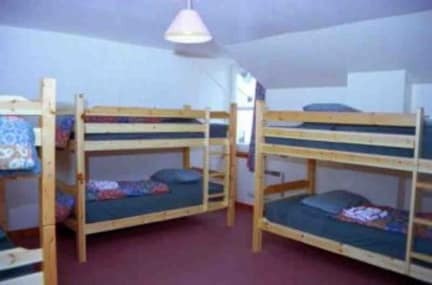 We have two floors with basic dormitory/bunk accommodation on the ground floor, with en-suite rooms on the other. Reception is open 24 hours, with no curfew or lockout. Most of our dorms have only 4 beds. Ideally located to explore the beautiful Highlands of Scotland, Fort William offers convenient access to all major tourist attractions in the Highland area. You have the opportunity to discover Glen Nevis, Nevis Range Gondola, West Highland Museum, Loch Ness, Steam Train, Ben Nevis Distillery and as well as take Seal Island Cruises. For the sports minded among you, the surrounding area offers a huge variety of activities including biking, climbing, hill walking, fishing, water sports, skiing/boarding (winter only) and golf courses. I did the whw and this it is on the way. it's perfect for it. ... Un po' caro rispetto al servizio offerto. La posizione è buona e dotata di parcheggio (dalle 18 alle 8 free, poi a pagamento) però l'arredamento, i bagni, i servizi offerti lasciano un po' a desiderare rispetto alla media incontrata sino ad ora. Nota positiva: il WiFi è veloce - aspetto non comune questo. I wanted to be honest, this is why my review is not good. The rooms are okay, but the beds are very noisy and uncomfortable... I didn't sleep well at all. Such a pity. The toilet were not clean and there was not any soap for wash hands. The kitchen is veeeeery small, but has everything you need. I think that for 18.50 pound per night you don't get enough.... Anyway, the position is very good.